Men generally have far more important things to worry about than what to put on in the morning. However, most men don't understand the impact what they wear can have on those "far more important things." In fact, scientific and sociological studies show that the right clothes can boost our psychology, physical state, and professional performance in ways that very few things can. Written by celebrity stylist Keith Campbell, this practical guide offers 12 simple style tips for any man—regardless of their current fashion IQ. 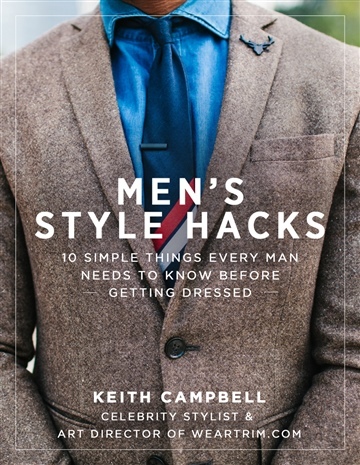 Keith has styled celebrities from Rihanna to Iman, but has made it his one goal in this book to help modern men take advantage of what they wear and use it as a tool to better their lives and the lives around them. 2015 is a new year. If you're one of the millions of men that could use a bit of practical advice on how to better take advantage of the way you present yourself, let this be your year to do.